Shillows Announces Grand Opening Offering Unique Satin Pillow Cover Attached to a Gentle Fitted Bed Sheet! Most people have come into their bedroom ready to get some rest only to find their pillow the last place it should be – on the floor. Thanks to Shillows, this can be avoided once-and-for-all. Young Adrian Marrero is a 19 year old entrepreneur with a vision. Shillows began with a simple idea when he came home, jumped in bed, and found out his dog was using his favorite pillow as his own. Instantly Adrian began to brainstorm, not only did he find a way to be able to grab the pillows while you sleep, but you are able to turn around at night and manage to always keep the pillows on the bed! As well, in the center of the pillow cover there is an opening to insert and remove yours hands while you sleep, keeping them warm throughout the night! With the added features it prevents the pillows from falling off the bed and the users from having a sore neck the day after they sleep. After several trials and errors Marrero combined the Pillows and the Sheets, creating the name Shillows. Fortunately Marrero is quite the creative mind, coming up with a unique idea of attaching a pillowcase to a fitted bed sheet and removing the problem of struggling to insert pillows into a pillow case all at once. Although his dog Rocky was deprived of some fun, Adrian Marrero was able to create an accessible pillow cover sewn into the sheet to stay firmly in place. Not only does the pillow cover work for two regular separate pillows but also for a larger pillow, preventing the need to purchase larger pillow cases. Seeing the responses from friends and family, Marrero decided to bring the idea to the market. After about two years of planning and hard work, Marrero’s company Shillows has announced their premium quality product line has debuted! Consisting of Satin Pillow Covers Attached to Comfortable Bed Sheets, all set at very attractive prices. 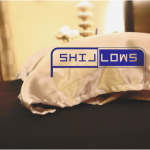 Currently, the Shillows brand includes the Pillow Covers Connected to a Bed Sheet in the choices of Gold or Silver. The pillow cover is firm and very comfortable, helping ensure a perfect night sleep. The gentle satin material is good for both skin and hair, preventing hair knots and irritation to sensitive skin. The whole product in its entirety is made to the highest standards and makes for a wonderful addition to a bedroom or a very unique and useful gift. For more information be sure to visit https://www.shillows.com. Shillows is an innovative and unique bedroom product that proves the pillows belong in the sheets.